Manchester United face difficult away clash against Marco Silva’s Watford at Vicarage Road on Tuesday hoping to close temporarily close the gap on Manchester City. Watford has already beaten Arsenal and Newcastle this season. 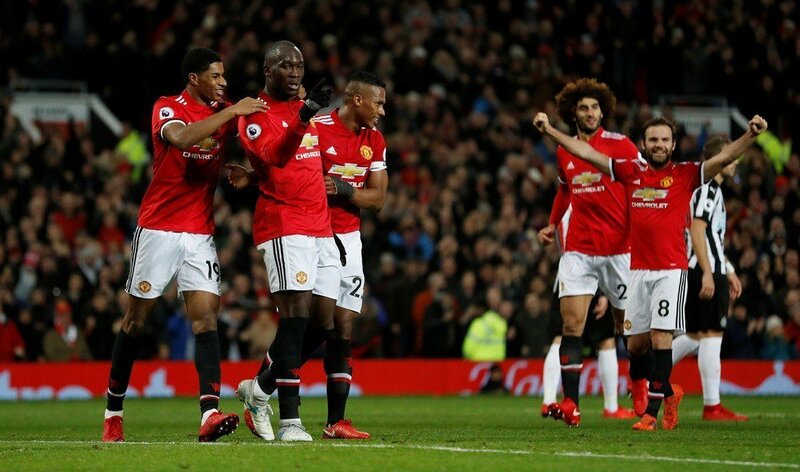 Last weekend, Jose Mourinho’s side managed a 1-0 win over Brighton at Old Trafford and City restored their lead with a hard-earned comeback victory against Huddersfield on Sunday. Marco Silva’s men will not be a walkover for Manchester United though, having strung together impressive consecutive wins over West Ham and Newcastle United in their last two matches. The home side will be without Craig Cathcart and Younes Kaboul, who have been sidelined with knee and hamstring injuries respectively, while Nathan Chalobah and Isaac Success are out of action too. But forward Troy Deeney is available again after serving a suspension. Potential Watford starting XI: Gomes; Prodl, Kabasele, Mariappa; Femenia, Zeegelaar, Hughes, Doucoure, Cleverley; Richarlison, Deeney. Jose Mourinho’s side, however, will be boosted by the return to full fitness of Zlatan Ibrahimovic and Marcos Rojo. Veteran midfielder, Michael Carrick is working towards making a recovery from a heart procedure, while Eric Bailly and Phil Jones are unlikely to play a part. Potential Man Utd starting XI: De Gea; Valencia, Smalling, Lindelof, Young; Pogba, Matic, Matic, Mkhitaryan, Rashford; Lukaku.